Assemblers commonly address the misprint cleaning need by either hand wiping* the misprinted side of the circuit card and/or clean the misprint in a stencil cleaning machine. Both methods create the potential for quality issues. 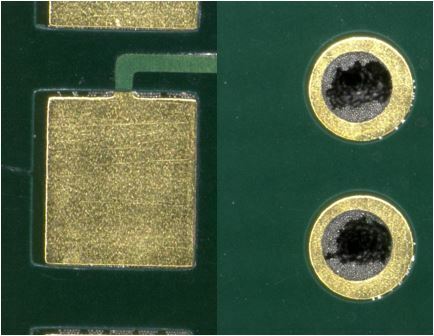 First, when wiping solder paste from the misprinted side of the board, solder paste can be trapped in solder mask defined channels, through-hole vias, and other board geometries (Figure 1). Numerous quality problems can result due to lack of control and definition. Hand wiping before cleaning is not recommended: solder paste trapped in vias. Best practice is to clean the misprinted circuit board using an aqueous cleaning solution within an electronic assembly production aqueous cleaning process. Production cleaning systems remove both wet solder paste and reflowed flux residues while meeting quality and yield objectives. To capture the wet solder paste, innovative collection and filtration systems safely capture and contain solder spheres from being sprayed onto production assemblies. 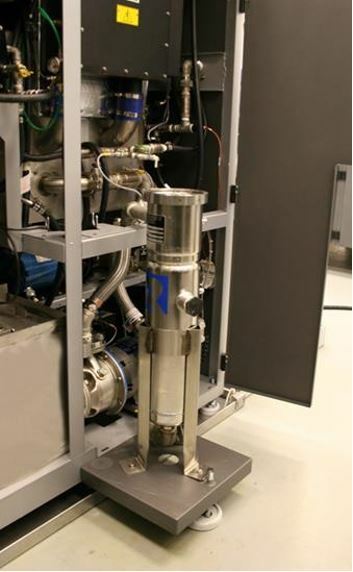 Additionally, the containment and filtration systems prevent raw solder paste from entering the rinse water streams. Using a production cleaning machine provides numerous benefits to the assembler.